The constant action of the eye area muscles when we smile and squint. The loss of elasticity and collagen in the skin mostly from skin damage. The loss of underlying supportive tissue like fat, muscle and bone. The first thing to do for crow’s feet is to protect the skin from further damage. Use an eye-area sunscreen every morning. 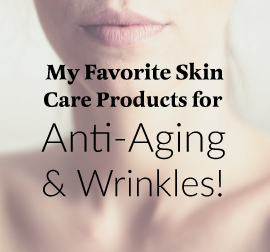 I have some recommendations, and the ones that are linked will take you to SkinCareRx.com if you want to see them or buy them now. You may want to try Dermalogica Total Eye Care SPF 15 or Colorescience My Favorite Eyes Cream (zinc 22%). There are lots of good eye area moisturizers to use before bed. 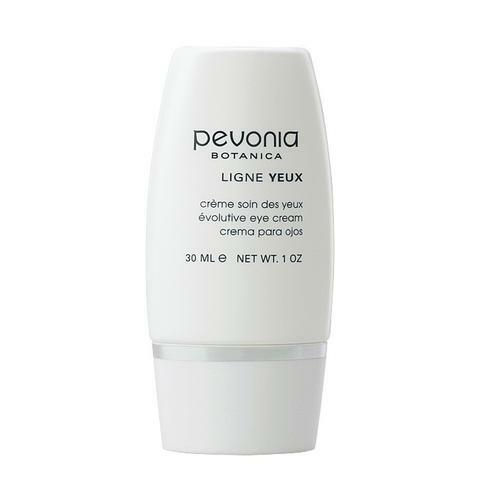 Some of the top eye creams are Replenix Intensive Eye Lightening Serum, La Mer Eye Cream, or Skinceuticals Eye Balm. This is also a list of eye creams I have personally tried and highly recommend. Botox treats the first cause for crow’s feet – too active muscles scrunching on the delicate eye area skin. By relaxing the muscles a little, the Botox for eyes treats the crow’s feet, making them softer and sometimes eliminates them completely. You want a skilled injector so that you don’t get that blank or frozen look when you’re smiling. Botox for crow’s feet will cost $200 to $500, depending on your age and where you live. And, as with all Botox injections, will have to be repeated every 3-4 months at first and then every 4 to 6 months for maintenance. Botox will take 5 to 7 days to take effect. As with frown lines, using Botox in conjunction with a filler often gives a nicer result than either one alone. Long-wave lasers (Smoothbeam, Cooltouch, Aramis, etc) that stimulate your body’s natural collagen production. The results here can be good, but you’ll need patience and a series of three to five treatments at a cost of approximately $750 to $2,000 for the series. The series takes 3-6 months to complete, and you’ll need maintenance treatments 1-3 times a year after the initial series. Best for younger patients or those with finer lines. Fractional lasers (Fraxel®, Affirm, ActiveFX, etc.) also stimulate your body’s natural collagen production and help repair sun damage. They are more expensive than the long-wave lasers above but are more effective and better if your crow’s feet are moderate to deeper. Expect to need 3-4 treatments initially and maintenance once a year. You may need to do the whole face to avoid the “racoon” effect of the treated area being a different color or texture. Fractional lasers essentially take a laser beam and break it into tiny little pixels. This results in a deeper treatment, but because the beam is broken into pixels, a deeper repair with a relatively fast healing time. The Fraxel (nonablative fractional) has about a 0-2-day downtime, but the ablative fractional lasers, like the Active FX usually require 4-8 days downtime. Fractional lasers are not cheap; they will cost $3,000 to $5,000 for a series of 3-4 treatments (full face – it would be less for just the crow’s foot area). It will take three to six months for the results to be fully apparent, although some people see improvement more quickly. And you will need maintenance treatments once a year after the initial series. The fractional lasers may require treatment on the whole face (for blending) rather than just one area, but it treats other issues you may have as well, particularly brown spots and acne scars. Resurfacing lasers (CO2 and erbium) remove an entire layer of skin in a very precise way (think microns). They are higher risk but can also give an excellent result with one treatment for seriously sun damaged skin and deeper crow’s feet when done well. Usually the whole face needs to be done to avoid the racoon look. You’ll need 1-2 weeks of downtime often followed by several months of pink/red usually. If the skin around your upper eyelids is sagging, it can give you a heavy feeling and make your eyes look hooded and tired. Mild to moderate hooding can be treated with one or two eyelid Thermage treatments. There is noticeable tightening for most patients with one treatment and two gives an even better result. You’ll need surgery if the hooding is severe or blocking your vision. Eyelid Thermage costs $1,000 to $1,800 and is low-risk if you have a good laser center that is experienced at performing the eyelid Thermage treatment. Like most Thermages, it takes 3 to 6 months for the results to be fully apparent. But, again, the eyelid Thermage is only good if the hooding or sagging is early to moderate. Many people are bothered by tiny fine lines on the upper eyelids that make the skin look like crepe paper or give it a crinkly look. If the problem is mild or moderate, then eyelid Fraxel is a good option to reduce the fine lines. Fraxel makes a special, tiny, FDA approved tip just for the eyelid area. Generally you’ll need 2-3 for the best results. If there is mild sagging coupled with the crepiness, then the combination of 1-2 Eyelid Thermages to tighten the skin a little with the Fraxel eyelid treatments to reduce the crepiness will give you an even better result. Laser treatments on the eyelid are higher risk so make sure you see an experienced dermatologist or plastic surgeon for work around the eye area. Puffiness under the eyes can be due to several different things. One culprit of puffy eyes is a fat pad that becomes more noticeable with age. If your puffy or swollen eyes are due to a fat pad, then blepharoplasty eyelid surgery is still your best option. If the puffiness under the eye is due to excess skin or sagging, there are two things you may want to consider. If the problem is mild, try reducing your salt intake and increasing your water intake to 6-8 glasses a day. Also, stick to foods low on the glycemic scale (no white sugar, soft drinks, alcohol, white flour, etc.). See if there are allergies that are making your eyes irritated or causing you to tear up, or rub the tissue around your eye a lot. 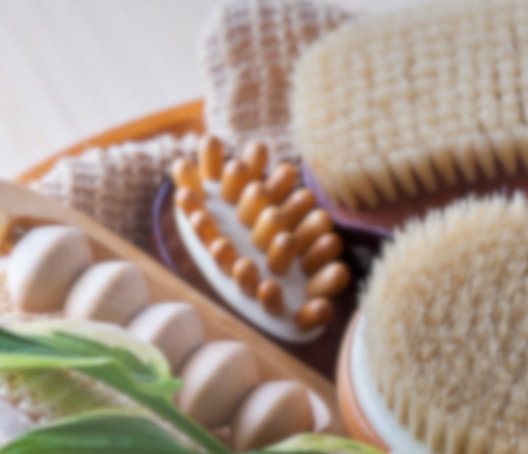 Some times puffy skin is due to an allergy. Second, if the sagging skin is mild to moderate, an Eyelid Thermage or two will tighten that skin and help reduce the sagging. As with hooding or sagging on the upper eyelid, this is most effective when the problem is is mild to moderate. If you have a lot of sagging, you’ll need surgery to correct it. Sometimes genetics, weight loss, or even lower-eyelid surgery that takes too much of the fat pad can give the appearance under the eyes of hollowness or gauntness. The first thing to do for sunken eyes is make sure you are getting enough sleep and enough fluids. Being dehydrated and sleep-deprived will accentuate any hollowness under the eyes. Only expert injectors should be working around your eye area if you decide that fillers are your best option! There is a moderate safety risk for treatments around the eye. The two nonsurgical options are fillers like Restylane or Juvederm or a “volumizer” like Sculptra. With all fillers, there is a risk of bruising, swelling, and lumpiness. Juvederm/Restylane are the hyaluronic (a natural sugar) fillers and can also be used as under eye treatments. The cost is $450 to $600 per syringe and usually only 1 is needed. You will need maintenance treatments every 6-12 months. Experts only. Sculptra is the synthetic lactic acid that stimulates natural collagen production and in time results in added volume to areas of the face, like hollow areas beneath the eyes. Sculptra is FDA approved for HIV lipodystrophy with broader cosmetic approval pending in 2008-2009. Sculptra for the eye area costs $300-$700 per treatment, with 2-4 treatments needed, 8-12 weeks apart. The initial series takes 4-9 months to full results; remember that Sculptra stimulates your own collagen production. You’ll need one maintenance treatment every 12 to 18 months. The eye area is particular prone to Sculptra bumps. Experts only. Under eye bags that seem to hang down onto the cheek can be caused by excess skin, a loosening of the muscle under the skin, or slippage of the fat pad. Sometimes it is caused by a combination of all three. Allergies aggravate this problem, so the first thing to do is to control your allergies. Plastic surgery is probably your best treatment option for these bags that are down lower on the cheekbone. It’s tough to treat this non-surgically at this point in time, learn more about eyelid surgery called a blepharoplasty.